We are excited to announce that André Picard will be the recipient of Michener’s Honorary Diploma in 2019. 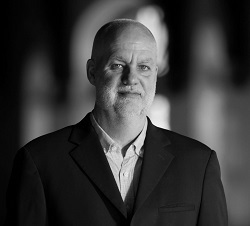 André Picard is one of Canada’s best-known commentators on public policy. He is the health columnist at The Globe and Mail, where he has been a staff writer since 1987. Mr. Picard has received much acclaim for his writing, including the prestigious Michener Award for Meritorious Public Service Journalism and the Hyman Solomon Prize for Public Policy Journalism, and the first speech he ever delivered was here at The Michener Institute! His work has been honored by a number of health advocacy groups, including being named Canada’s first “Public Health Hero” by the Canadian Public Health Association, and as a “Champion of Mental Health” by the Canadian Alliance on Mental Illness and Mental Health. He was also a recipient of the Queen Elizabeth II Diamond Jubilee Medal for his dedication to improving health care. Thank you to Kathleen Olden-Powell, Dr. Brian Hyndman and Jacqueline Waldorf for their thoughtful and inspiring letters in support of Mr. Picard’s nomination. We look forward to hearing him address this year’s graduates at Convocation in June!